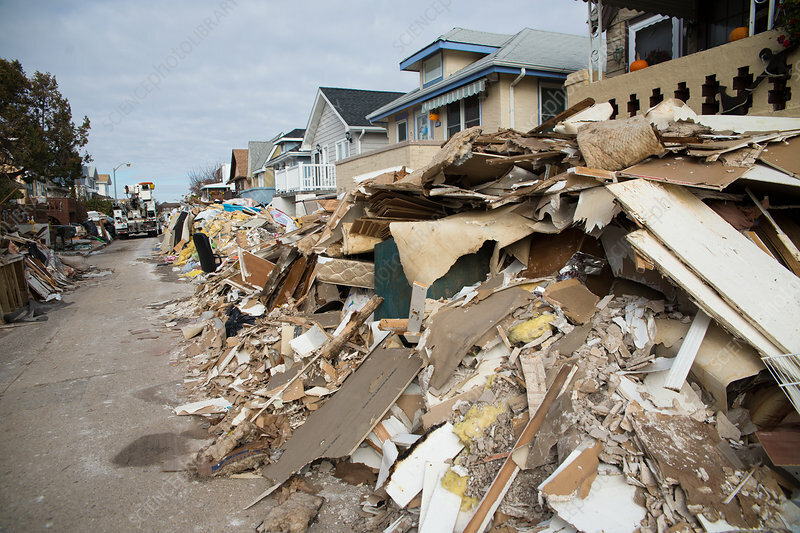 Piles of contents and building material removed from homes destroyed by superstorm Hurricane Sandy. Sandy's surge flooded much of the tri-state area's coastal neighbourhoods leaving thousands without power for weeks. Long Beach, Nassau County, Long Island, NY. November 14, 2012.